The skin condition is the focus of a prominent sub-plot on this crime drama. The real mystery on HBO's addictive eight-part murder drama The Night Of—besides Did Naz kill that girl?—has been: Will poor John Stone's rash ever clear? Through the thriller's first six episodes, we see the sad-sack lawyer (played expertly by John Turturro) scratching his eczema-ridden skin with chopsticks, visiting a succession of not-very-sensitive doctors, and subjecting his feet to a string of seemingly suspect remedies, including slathering them with Crisco, bathing them in Clorox, and roasting them under UV lamps. Spoiler alert: This week, he finally found some relief, thanks to unnamed Chinese herbs he bought for $300 cash. Eczema, also known as atopic dermatitis, is a genetic condition that affects up to 35 million Americans. But the health journalists in us wondered just how true to life The Night Of's depiction of living with this condition really is. We asked Joshua Zeichner, MD, Director of Cosmetic and Clinical Research in Dermatology at Mount Sinai Hospital, via email to fact check the symptoms and treatments—and weigh in on this week's surprise Eastern cure. Health: What exactly is eczema? Stone tells people it's not contagious; correct? Dr. Zeichner: It's not contagious, but many people fear it is. Eczema is a genetic condition where the skin barrier is not functioning as well as it should, making it more susceptible to environmental allergies, irritation, and infection. The skin cannot maintain hydration and becomes inflamed, leading to characteristic red, scaly rashes as well as significant itch. We see Stone slathering Crisco on his feet and wrapping them in plastic wrap. Is that a real treatment? Crisco and other natural oils like avocado or olive oil can help hydrate the skin, but they are very messy. 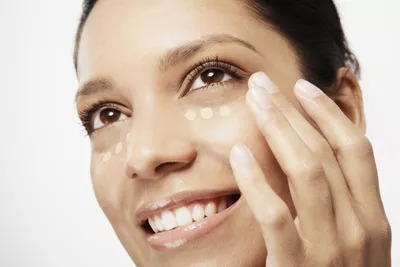 Cosmetic formulations have come a long way and now there are cosmetically elegant moisturizing creams that do an excellent job and feel nice on the skin. Look for ones with hydrating hyaluronic acid and skin repairing ceramics (e.g. Aveeno Skin Relief Moisture Repair Cream). You can also use heavy ointments that occlude the skin (like Cerave Healing Ointment) for extra hydration on your toughest spots. Plastic wrap is low tech but definitely works. It not only helps enhance penetration, but also prevents anything greasy from getting onto your clothing. One doctor tells him to bathe his feet in Clorox. Would that actually help? Clorox bleach kills bacteria on the skin that can cause skin infections. People with eczema have a skin barrier that cannot protect itself as well as it should from the environment, making it more at risk for infections. I typically have eczema patients soak once a week in a bleach bath (half cup bleach in a full bathtub) for 10 minutes, then rinse off. What about sitting under UV lamps? Stone tries it—should anyone else? While UV light can harm collagen and skin cells, leading to premature aging and skin cancer, it does have anti-inflammatory properties. In the office we use specialized UVB light to treat conditions like eczema and psoriasis. This is not like going to the regular tanning booth. We use a narrow band of UVB light shown to be specifically anti-inflammatory and it's safer than sunlight, which has other rays including UVA rays. It is so hard to watch him scratch at his inflamed skin with chopsticks. Is eczema always super itchy? Is it ok to give in and scratch? Itch is a characteristic component of eczema. Unfortunately, it results in lost sleep and can affect performance at work and school. While chopsticks are not ideal for scratching, patients come up with creative solutions for hard-to-reach areas! One thing The Night Of does very well is show the mental toll of living with a skin condition. Stone even attends a support group. Can the stress of having eczema exacerbate symptoms? Yes, stress can certainly impact the disease and make it worse. Genetic eczema is commonly associated with seasonal allergies (allergic rhinitis) and asthma. Some patients also frequently suffer from food allergies or environmental allergies. What can people do to help their eczema on their own? Take short, lukewarm showers; long showers, especially with hot water, can strip the skin of essential fats. Pat dry your skin rather than rubbing with the towel. Moisturize within 5 minutes of your shower to lock in moisture. Use a cool mist humidifier at night; air conditioning, dry heat, and airplane air can dry out already-challenged skin. And finally, about this week's hail Mary herbal drink: Any science to that? Alternative therapies, including herbal supplements and acupuncture, are commonly used to treat skin conditions such as eczema. While we do not have good data on which to base recommendations, many patients do find relief from them.